The Gospel accounts reveal that Jesus three times plainly predicted He would die and rise again. The disciple’s simply did not get it (Lk. 9:45). They didn’t think He really meant what He was talking about. What made them miss the significance of the cross? What makes us miss it? Probably the same things. 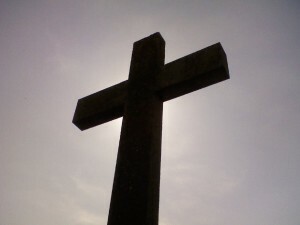 The Cross of Jesus Christ is perhaps the most misunderstood event in history. So over the next few days lets examine the three accounts in Mark’s Gospel and discover why it is we fail to understand the cross of Jesus Christ. The first (Mark 8:31-9:1) tells us that erroneous assumptions are often what make us miss the meaning of Jesus’ cross. Look at Jesus’ first prediction of His sufferings. Yet we read that “Peter took Him aside and began to rebuke Him” (v.32b). “Rebuke” is the same word used earlier to Jesus’ rebuke of a demon (1:24-25; 3:11-12). But note that Peter’s rebuke brought Jesus’ rebuke of Peter: “But turning around and seeing His disciples, He rebuked Peter, and said, ‘Get behind Me, Satan; for you are not setting your mind on God’s interests, but man’s. '” (v.33)! Peter got it right a minute earlier, when he confessed that Jesus was the Christ. What happened in the span of those few breaths? Nothing, that’s the point. Peter said the right words, used the right title, but His assumptions about what those words meant, and what that title signified were all wrong. Peter could not understand this either. That is why he protested so. That the Messiah, whom he has now recognized, should suffer at the hands of the Roman enemies on a cruel and shameful cross was unthinkable. Here’s the point: Our assumptions about Jesus can make us completely misunderstand the cross. By now you may have formulated a pretty good idea of what you think God, Jesus, sin, church, and Christianity mean. You have gathered bits and pieces of those assumptions from various places like Sunday School, the church you grew up in, the things your parents said, and other things you have read. You are just like Peter. He had a whole set of assumptions about what “Christ” or “Messiah” meant. None of them had any room for this talk of a dead Messiah! Peter thought “Messiah” or “Christ” meant triumph over oppression, the overthrow of Rome, glory, power, the rise of the state of Israel, and fall of all her enemies. There was no room for a grizzly death on a splittered cross in that picture. His assumptions about Jesus were causing Him to entirely miss the whole point of His arrival among humanity! A disciple of Jesus Christ is more than someone who has gotten the titles right. A disciple is more than someone who can reply with the correct theological words when asked about Christ. A disciple of Jesus Christ is one who understands and embraces what Jesus means by the title’s He takes to Himself and the words He uses to describe Himself. Don’t play down the difference. It is not a slight difference in nuances of meaning. It is, according to Jesus, the difference between being in His camp or Satan’s! What is the answer to such misguided assumptions? That answer is found in denying the self-interest that is inherent in the way you may have defined Jesus. It is found in taking up your cross (which is not some temporal burden you might need to endure, but an instrument of death). The answer is found in follwoing Jesus in death to self-interest, no matter what assumptions get stepped on. What assumptions have you held concerning “believing in Jesus”? Maybe something along the lines of: He’ll make me happy? “He’ll make my marriage work? He’ll make me rich? He’ll make me successful? Remember, our assumptions are the first thing that can cause us to miss the meaning of the cross. 14. Realize that no one has ever proven a contradiction. Do you realize that no one has ever proven the Bible to be in error? Many have claimed to have found error, but later have been forced to admit their own error by new evidence. Archeology is unearthing much new evidence that sheds light on Biblical texts. It has been said that no archeological find has ever proven an error exists in Scripture, but many times they have proven that those claiming a supposed error were the ones in the wrong. It is fine—even a mark of integrity—to admit when we do not understand something in Scripture. We should concede that there are “difficulties” in the Bible. That is the time to place the difficulty in an “intellectual icebox” where we hold it while we await further evidence for the resolution of the difficulty. Always leave room for God to provide more evidence concerning a difficult passage. Having reached the end of our journey, what shall we say by way of summary? When others raise what they label as an error in Scripture, we need to realize that all that is demanded of us is the ability to put forward a possible, rational conclusion to the difficulty. We are not obligated to prove a possible interpretation is the right interpretation. Our task is simply to demonstrate that there is a reasonable solution to the difficulty raised. Since Scripture has proven trustworthy for thousands of years we should declare it innocent until proven guilty of error. Being made up of sixty-six books, having been written over a span of 1,600 years, on three different continents, in three different languages, by more than forty authors, the miracle is that the Bible has such a cohesive, sound text that espouses one singular theme! Let us remember the burden lies with the accuser of Scripture. They must prove the error they claim exists. Let us never forget that ultimately the real struggle with Scripture is a moral one (John 7:17). Mark Twain reportedly said, “It ain’t those parts of the Bible that I can’t understand that bother me, it’s the parts that I do understand”! Update: You may find the entire text of this series here. 12. Assume harmony in parallel passages unless you have good reason to do otherwise. There is a vast difference between admitting that there are some “difficulties” in understanding all that the Bible says and conceding that the Bible contains error. I join with the Apostle Peter in admitting that sometimes Scripture is difficult to understand (2 Peter 3:16), but I do not concede that there are errors within its pages. “Difficulties” leave room for further discussion, information, and study. More light on the given “difficulty” will later become available and it would be premature to assume error. The jury is still out on any given alleged discrepancy. 10. Be certain of the original text. The doctrine of inerrancy claims that it is the original autographs that were without error, not the copies made from them. It is quite possible that copyists have made some minor errors in transcription. This might account for some variation among numbers reported in the Old Testament. 1 Kings 4:26 says that Solomon had 40,000 stalls for horses and 12,000 horsemen. 2 Chronicles 9:25 says that he had 4,000 stalls and 12,000 horsemen. Similarly, 1 Samuel 13:1 says that Saul reigned for 32 years, while Paul says that his reign lasted 40 years (Acts 13:21). In the Hebrew language numbers were recorded by assigning numerical value to each of the letters of the alphabet. Letters were then used in combination to record larger numbers; this made for greater susceptibility for a scribal mistake because the letters were not grouped according to a logical linguistic pattern (a word they were used to seeing), but randomly, to record a given number. Though there may be other legitimate explanations for these numerical differences, it is possible that we have a scribal error made in transcription. If such minor errors do exist, they do not harm the doctrine of inerrancy, nor lessen our confidence in the accuracy of our Bibles. There are not many of these kinds of difficulties in the Bible. It is said that our current text of the New Testament is 98.33% pure from copyist error. Of the few slight variations not one affects any major doctrine. 11. Face the possibility that you may have misinterpreted one or both passages. If it appears that the difficulties of a passage are insurmountable, consider the possibility that you have misinterpreted it. Just after I came to faith in Jesus Christ as a Junior High student, I began to read my Bible regularly. Starting at the beginning of the New Testament, I soon came upon Matthew 5:29, “And if your right eye makes you stumble, tear it out, and throw it from you; for it is better for you that one of the parts of your body perish, than for your whole body to be thrown into hell.” I was stumped. I wanted to please Christ, but this request seemed too harsh! How could I gouge my eye out? How could I handle the pain? How could I explain to my parents what I had done? Fortunately I waited for further information and came to see that I was taking literally what Jesus was using as a literary technique to make a point. Not long afterward I came to Matthew 16:2-3: “When it is evening, you say, ‘It will be fair weather, for the sky is read.’ And in the morning, ‘There will be a storm today, for the sky is read and threatening.’ Do you know how to discern the appearance of the sky, but cannot discern the signs of the times?” My conclusion? I understood this to mean that it was wrong to attempt to predict the weather; therefore, I thought I had to stop watching the weather forecast with my father each evening before going to bed. I wanted to do what Christ commanded, but the command, as I interpreted it, seemed a bit arbitrary. I sought further input and discovered that I had misunderstood the point of what Jesus said. 7. Realize that most New Testament quotations of the Old Testament are taken from the Septuagint (LXX). On occasion someone will cross-reference from the New Testament, where they have just read the Biblical writer quoting from the Old Testament, to the Old Testament reference being cited. They will notice that the quotation may not match exactly what their Old Testament records for that verse. What is going on? We need to realize that the New Testament writer may well have been quoting from the Septuagint. The Septuagint is a Greek translation of the Hebrew Old Testament that was completed in the mid 200’s B.C. This translation of the Hebrew Scriptures was widely used at the time the New Testament documents were being written. So the author of Scripture in the New Testament may have been quoting form a Greek translation of the Old Testament and when we compare that with our English translation of the Hebrew Old Testament it may not be phrased exactly the same. Beyond that, it is more than possible that the New Testament writers did not always attempt to quote verbatim when they referred to the Old Testament. Suppose we would make a tape recording of the conversations taking place during a small group Bible study and then compare what we quoted as Scripture with what our actual English versions say. Would the differences invalidate what we said in the Bible study? Would we be found to be liars when we heard ourselves say, “Psalm 35:4 says …” and then discovered it did not match exactly with our version of that passage? No. 8. Realize that when the New Testament quotes from the Old Testament, God, as the ultimate Author, has the right to give His own meaning or interpretation of what He wrote in the first place. Scripture makes clear that it is of divine origin. This means that God has the freedom to explain what He has said. “But know this first of all, that no prophecy of Scripture is a matter of one’s own interpretation, for no prophecy was ever made by an act of human will, but men moved by the Holy Spirit spoke from God” (2 Peter 1:20-21). “All Scripture is God-breathed …” (2 Timothy 3:16). 9. Use the fuller of two accounts to explain the shorter account. Consider the Biblical accounts that describe the conversation of the Apostle Paul. The actual event is described for us in Acts 9:10-19. Paul’s testimony of it before the Jews in Jerusalem is recorded in Acts 22:12-16. Upon reading the two accounts it becomes clear that 9:10-19 is the fuller account and 22:12-16 is an abbreviated account (little wonder Paul abbreviated it, read Acts 22 for the context in which he gave this testimony!). It would only make sense to allow the fuller of the two accounts to explain the shorter one.